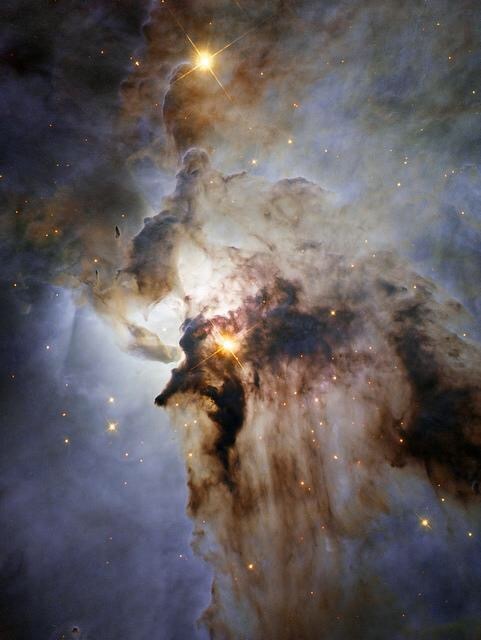 Hot, illuminating clouds of gas and dust surround the star nursery of the Lagoon Nebula. The NASA/ESA Hubble Space Telescope released this new photo of the nebula, which is consumed with harsh winds and gas funnels due to active star formation. The marvel unveiled by this new image is due to the combination of both infrared and optical light used to take the photo instead of just the ladder, which was used to create previous images. The twinkling star, named Herschel 36, located in the center of this image, forms the nearby clouds, utilizing any surrounding material to aid in its creation.